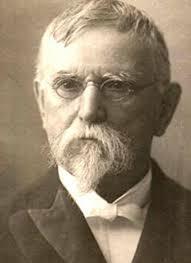 Today in Masonic History Lewis "Lew" Wallace passes away in 1905. Lewis "Lew" Wallace was an American soldier, politician and author. Wallace was born in Brookville, Indiana on April 10th, 1827. At the age of 5 the family moved to Covington, Indiana. Two years later, in 1834, Wallace's mother passed away from Tuberculosis. In 1837, after Wallace's father was elected Governor the family moved to Indianapolis. Wallace went to a variety of schools and academies growing up. At the age of 16, his father declared he would not pay for any more education for Wallace. In 1842, while living in a boardinghouse in Indianapolis, Wallace joined the Marion Rifles, a local militia. He would also start working on his first novel, The Fair God which would not be published until 1873. When the Mexican-American war broke out in 1846, Wallace who was then 19, left his legal studies to setup a recruiting office for Marion Volunteers. Wallace would see no combat during his time in the military. He left his unit just under 1 year later. In 1849, Wallace would be admitted to the bar and would move his family to Covington, Indiana to establish a law practice. In 1851, he would be elected prosecuting attorney for Indiana's 1st Congressional District. He would resign in 1853 when he moved his family to Crawfordsville, Indiana. In Crawfordsville, Wallace would continue to practice law. In 1856, he would be elected to the Indiana State Senate. He would also establish the Crawfordsville Guards Independent Militia. When the American Civil War broke out, the Governor of Indiana asked Wallace to recruit volunteers for the Indiana militia. Wallace agreed as long as he would be given his choice of regiments to command. The Governor agreed and Wallace had all of the Indiana regiments filled in just 6 weeks. As part of the Union Army Wallace would take part in many battles. His most controversial battle was the Battle of Shiloh. At the battle of Shiloh, Wallace's regiment was left in reserve. Grant who was directing the battle called for Wallace's regiment to join in the fighting at Pittsburgh Landing. Due to poor weather and other factors it took Wallace to long to get his regiment into position and the Union Army had been pushed back on the first day of the battle. By night fall on the first day, Wallace had arrived. The following day, Wallace had helped rout the Confederate forces. Initially it was called a success by Union forces. Three weeks later as word of the heavy casualties reached civilians, President Lincoln demanded a full account of the events from Grant. Grant would blame the heavy losses on Wallace, despite the fact that Wallace felt he had followed Grant's orders. For many years to come Grant would insist that the massive casualties at the battle of Shiloh were Wallace's fault. After the Civil War, Wallace was appointed to the military commission that investigated the Lincoln Assassination conspirators. The commission was dissolved after all eight conspirators were found guilty. He also would serve on a commission investigating Henry Wirz a Confederate General in charge of Andersonville Prison camp. Wirz was found guilty and sentenced to death. In 1867, Wallace returned to Indiana. At first he tried to return to practicing law, he felt the profession no longer appealed to him. He began work in politics. He was unsuccessful in all the elections he entered. In 1876, he supported Rutherford B. Hayes for President. As a reward Hayes appointed Wallace as the Governor of the New Mexico Territory in 1878. He would serve until 1881. In 1881, President James A. Garfield appointed Wallace as the United States Minister to the Ottoman Empire. He would serve in that post until 1885. Wallace's second novel is his most notable literary work. He wrote Ben-Hur: A Tale of the Christ starting after the Civil War and while he was Governor of the New Mexico Territory. Ben-Hur, an adventure story of revenge and redemption, is told from the perspective of a Jewish nobleman named Judah Ben-Hur. The book was published in 1880. Wallace passed away on February 15, 1905 in his home in Crawfordsville, Indiana. Wallace was a member of Go Fountain Lodge No. 60 in Indiana.